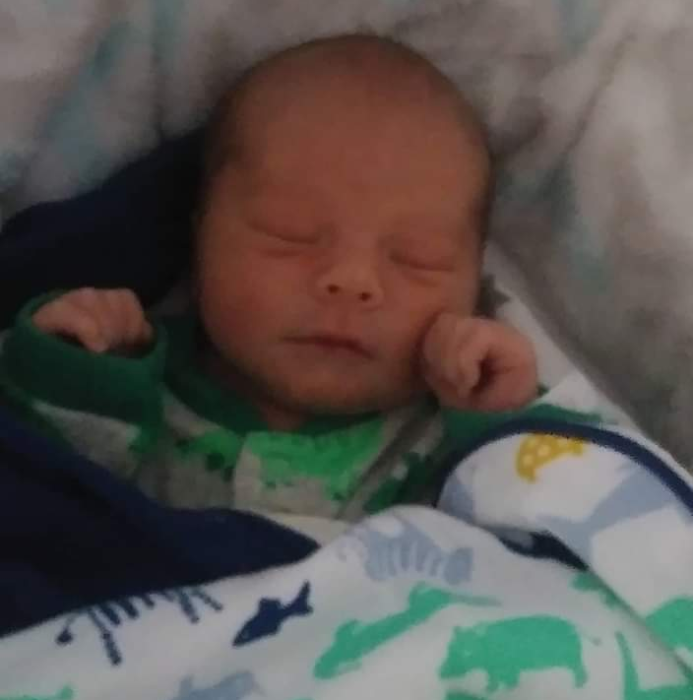 David M. Gonzales, 9 days old of Streator passed away at 9:30 AM Sunday (November 25, 2018) at his residence. A visitation will be held from 5-7 PM Thursday at the Hagi & Baker Funeral Home in Streator. Funeral services will be held at 7 PM Thursday at the funeral home. Cremation rites will be accorded following services. He was born on November 16, 2018 in Ottawa to Daniel Gonzales & Tiffany Logsdon. He is survived by his parents of Streator; a brother, Daniel Gonzales Jr of Streator; his paternal grandmother, June Harris of Texas; his maternal grandparents, Dave & Rhonda Logdson of Streator, his maternal great grandmother, Beulah Janney of Streator; his paternal great grandmother, Carol Logsdon of Chillicothe; his paternal great grandfather, Jack Logsdon of Kewanee and numerous aunts and uncles. He was preceded in death by two uncles: James Mounce and Randall Kuster.